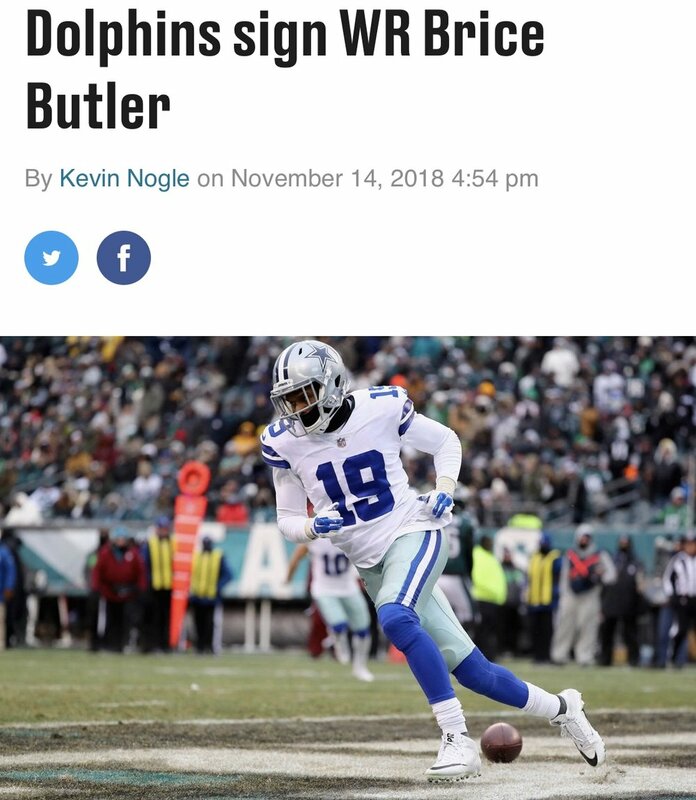 D-Rob Client Brice Butler worked out for the Miami Dolphins ðŸ�¬ yesterday and had a very strong workout performance! The team signed him to a contract! Sterling Shepard Catches Game Winning TD!